The Pina Colada cocktail was invented by a Puerto Rican bartender in 1952, a drink to showcase the new coconut cream. His position of bartender at the the Caribe Hilton in Puerto Rico gave him an unprecidented opportunity for his new drink – as the first luxury hotel to open in the San Juan area, he had many rich and famous clients who duly spread the work of this new cocktail throughout the world. This delicious cocktail is full of tropical flavours which work especially well as a cupcake. The cake is a pineapple coconut cake, which is then drenched in a rum drizzle, before being topped with a coconut buttercream, and toasted coconut. 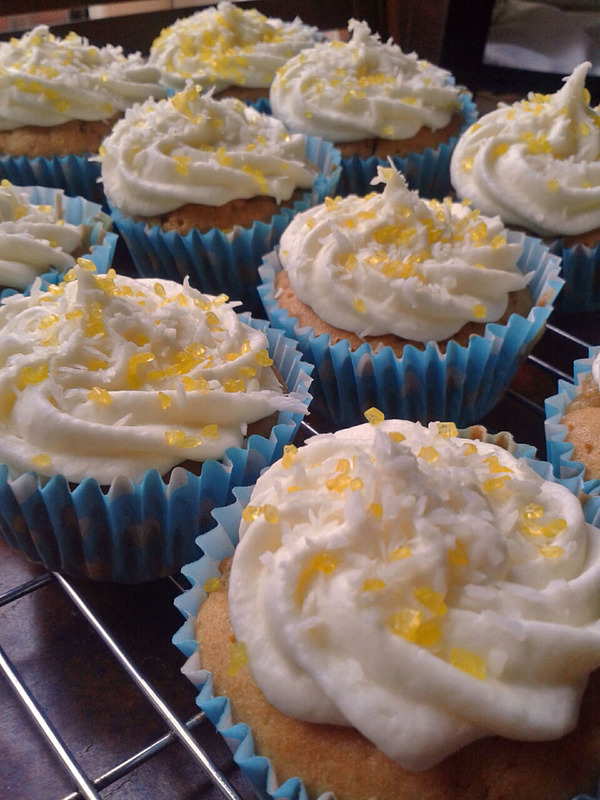 The cupcakes could also be decorated with a dried pineapple flower if wished. The recipe for the flowers can be found here, and is extremely simple to complete, thus being well worth the effort. Preheat the oven to 350ºF/Gas Mark 4 and line a 12 hole cupcake tin with liners. Cream together the butter and sugar, before adding the eggs, beating after each addition. Add the vanilla and mix well. Mix the dry ingredients together in a bowl. Gradually mix the dry ingredients into the batter, alternating with spoonfuls of coconut milk and pineapple until all ingredients have been combined. Spoon the mixture into the cupcake liners and bake for 25-30 minutes until golden brown and firm to the touch. To make the frosting, beat together the butter and powdered sugar until thick and creamy, adding the coconut milk in gradually to create a thick frosting. 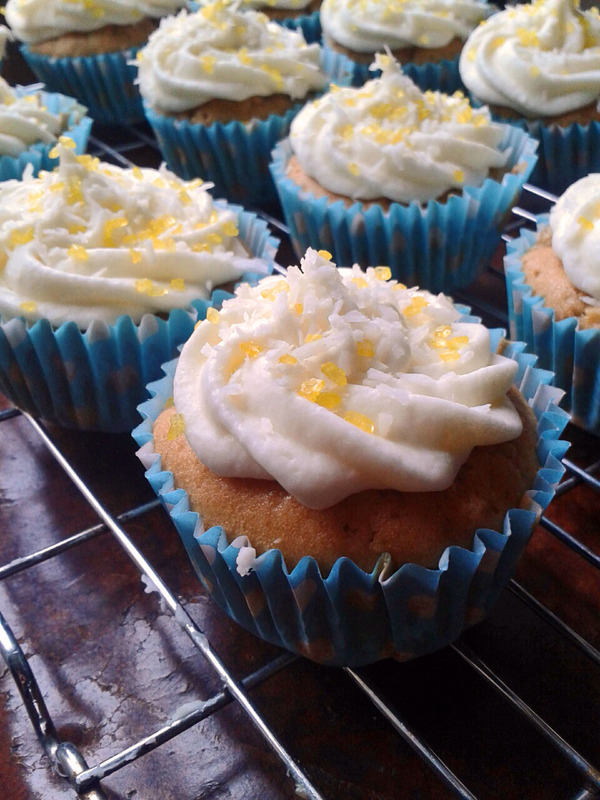 Spoon onto the cupcakes, before topping with toasted coconut and a dried pineapple flower.